Time to talk about how gorgeous this product is/annoy all of you by the fact that it is out of stock in most stores across the UK. 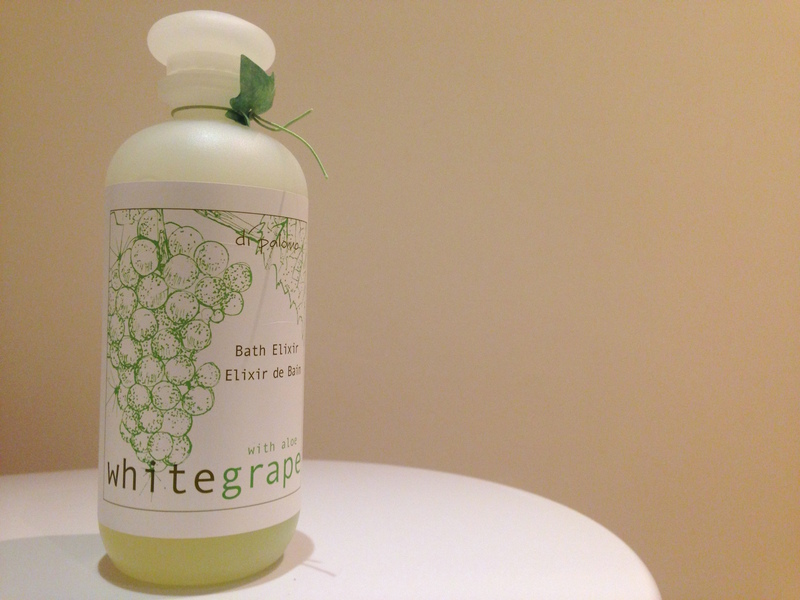 Usually available for a very reasonable (and worthwhile) £12 from John Lewis, this gorgeous white grape bath elixir is infused with aloe and nourishes the skin. It really doesn’t surprise me that this Di Palomo elixir is temporarily out of stock, due to it’s extremely soothing nature, from the moment you step into the tub. A rich bubble bath that foams instantly and smells incredible, some have even described the scent as ‘edible’… but I’m not advising that anybody tries that! For more posts like this, follow my blog and please comment in the space below with your favourite bath/shower products.